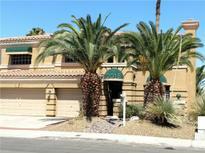 Below you can view all the homes for sale in the Nuevo Vista subdivision located in Henderson Nevada. 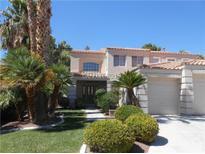 Listings in Nuevo Vista are updated daily from data we receive from the Las Vegas multiple listing service. To learn more about any of these homes or to receive custom notifications when a new property is listed for sale in Nuevo Vista, give us a call at 702-323-5903. Move in ready 1 story 3 car garage-pride of ownership-attention to every detail!Kitchen:cabs w/new oak doors,pantry wall,granite counter w/overhang&full backsplash,all black appliances stay,DW newer 2drawer.Woodlike laminate flooring&2"woodblinds thruout.New carpet in master bed.Garage w/insulated door, storage cabs&workbench,tankless hot H20-freezer to stay.Tranquil large back patio&yard w/end sunshades&fans-EZ synthetic grass front&back MLS#2081032. BHHS Nevada Properties. This home could be the one you are looking for. No HOA. MLS#2067288. Wardley Real Estate. Most Of The Furniture Will Stay. MLS#2049709. Century 21 J R Realty. Jack/Jill Bath To Brm 2-3 Upsatirs, Dwn Brm/Office & Bath. No Short Sale @ List MLS#1936516. Realty ONE Group, Inc.